Viobo MSSQL to Access Data Migrator - migrate data from MSSQL to Access easily! 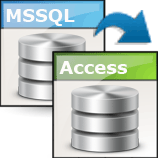 Viobo MSSQL to Access Data Migrator simply migrate data between between MSSQL and Access. It can migrate data fast and easily; you can drag and drop the objects of the Tree-Structure databases to migrate or backup data. It can migrate or backup remote data to local/remote. NO DBA experience required, NO official client software required. 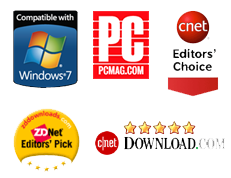 The tool is compatible with most major versions of MSSQL and Access, including SQL Server 2000 to SQL Server 2008, Access 2000 to 2007, etc. The tool needs odbc or oledb database provider without official client software. The Data Migrator supports the all kinds of Connection Type of MSSQL and Access very well. Viobo MSSQL to Access Data Migrator and our customization services ensure high automation of the entire database migration process - from DDL to data, from completion to optimization/alternative, from anytime to fixed time conversion - at reasonable cost. The tool also help Users to define his own operation conditions to make the converting tasks pertinent.